Universal first began releasing its Classic Monsters titles on DVD starting in 1999 with the original films, Karl Freund’s The Mummy (1932) among them. 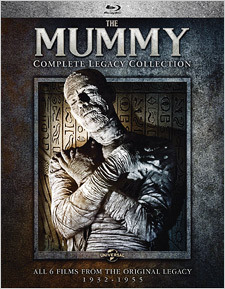 The Mummy: The Legacy Collection followed on DVD in 2004, featuring the original film and its first three sequels. Then in 2014, The Mummy: Complete Legacy Collection was released on DVD, including the original and all of its sequels and related films. Complete though it was, however, the set was still somewhat frustrating, as Universal had already begun to release the originals in HD in 2012, as part of the studio’s 100th Anniversary celebration, with the Universal Classic Monsters: The Essential Collection Blu-ray box set (see our review here). Fans made their feelings clear; they wanted all the films in that level of quality. Frustrating or not, the DVD version of The Mummy: Complete Legacy Collection included The Mummy (1932), The Mummy’s Hand (1940), The Mummy’s Tomb (1942), The Mummy’s Ghost (1944), The Mummy’s Curse (1944), and Abbott and Costello Meet the Mummy (1955), plus extras. The good news is, following the success of Universal’s 2012 4K restorations of Dracula, Frankenstein, and The Bride of Frankenstein, the studio began restoring the other Monster films in 2015. The first fruits of this work were released last year in the form of Blu-ray upgrades of the Frankenstein: Complete Legacy Collection (see our review here) and The Wolf Man: Complete Legacy Collection (see our review here). Now they’ve followed up this year with Dracula: Complete Legacy Collection (see our review here) and The Mummy: Complete Legacy Collection. As you can see, virtually all of the previous DVD and Blu-ray features carry over here, so you lose nothing of note if you upgrade to this set. If you already own the Universal Classic Monsters: The Essential Collection Blu-ray box, there is obviously a bit of duplication in that The Mummy is included in both sets. However, all of the other films here are new to the format in HD. The new transfers are spectacular, especially considering the age of the films in question. All are presented in their original 1.37:1 theatrical aspect ratios except Abbot and Costello, which is 1.85:1. The original film was remastered from a new 4K element scan (you can read our thoughts on their A/V quality here) and it appears that nearly all the rest of these films have been given new 4K restorations too. The actual scans and digital remastering work here are first rate; the A/V quality really just depends on the condition of the original elements. The Mummy’s Hand and The Mummy’s Tomb are clean looking but never edgy, offering lovely grain, deep contrast, and fine detail and texturing. The Mummy’s Ghost, The Mummy’s Curse, and Abbott and Costello are excellent as well. Quite simply, these films have never looked so good at home before and have probably seldom looked this good in theaters either. The sound on all of these films is available in English 2.0 mono in DTS-HD Master Audio format. The original film also has French 2.0 mono audio in DTS-HD MA. The mixes are front-and-center, as they should be, though the uncompressed nature of the tracks offers a somewhat fuller sound than found on DVD, delivering good fidelity and every bit of the quality possible from the original audio elements. Dialogue is generally clean and clear. Optional subtitles are included in English SDH and Spanish on the first film. The sequel films have additional subtitles options, including Danish, Finnish, Norwegian, and Swedish. 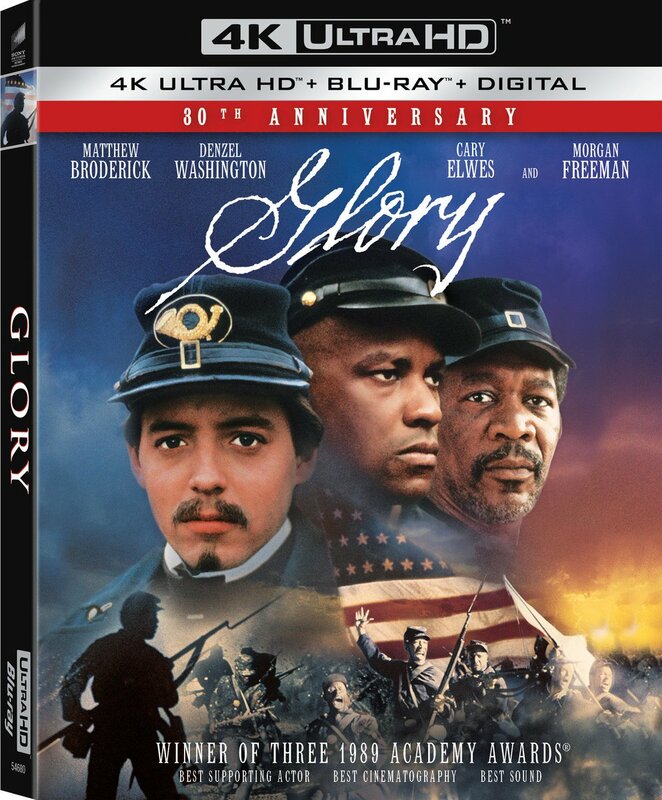 On the whole, this set represents an excellent Blu-ray upgrade of the previous DVD release. However, its value to you personally will depend on just how much you love these films, which you’ve purchased previously on either Blu-ray or DVD, and what kind of sale price you can get. At $25 on Amazon for five new films in HD though, that’s not bad at all and the price may get sweeter with time. In any case, as a Universal Classic Monsters fan, it’s a thrill to finally have all of these films available in such high quality. Better still, it’s enormously reassuring to know that they’ve been newly restored and preserved for the future. If you can get it at a good price, this set is definitely recommended.